I’ve been speaking on integrating Python and SQL Server for a while now, and having given the same presentation at nearly a dozen SQL Saturdays, PASS Summit, and multiple user groups, it’s about time to retire my favourite session. Just in case there’s anyone out there who is interested in the subject but hasn’t managed to see it yet, I thought I’d start sharing some of the code and use-cases in a series of blog posts. We’ll start off with a simple step-by-step introduction to the sp_execute_external_script stored procedure. This is the glue that enables us to integrate SQL Server with the Python engine by sending the output of a T-SQL query over to Python and getting a result set back. . For example, we could develop a stored procedure to be used as a data set in an SSRS report that returns statistical data produced by a Python library such as SciPy. In this post we’ll introduce the procedure and how to pass a simple data set into and back out of Python, and we’ll get into manipulating that data in a future post. -- Calling the procedure with no input or output. -- and getting them right back out. -- Using sys.objects instead of a tally table. -- Using a custom name for the input data. -- Using custom names for both the input and output data. Although this input query is very simple, in the real world we might be sending over the output of some very complex queries. The input query in one of the use cases in the session I’ve been presenting is over 150 lines! To make this more manageable in our integration, rather than embedding the whole query in our procedure call and making an unholy mess, we’ll instead store it in a variable called @InputQuery and pass that in to @input_data_1. This allows us to use our standard T-SQL coding style, and has the added effect of being easy to copy-and-paste into a new query window for development and/or, heaven-forbid, debugging. 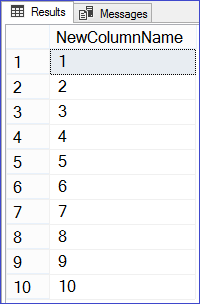 -- Variablizing the input data query. -- Variablizing both the input data query and the Python script. Look at that nice clean procedure call! Marvel at how the business logic in our T-SQL query and our Python code is separated out, formatted nicely, and ready to copy into another window or IDE! Can we all now agree to use this format for our sp_execute_external_script calls going forward? This was a good intro, thanks! I’m eager for the next post.